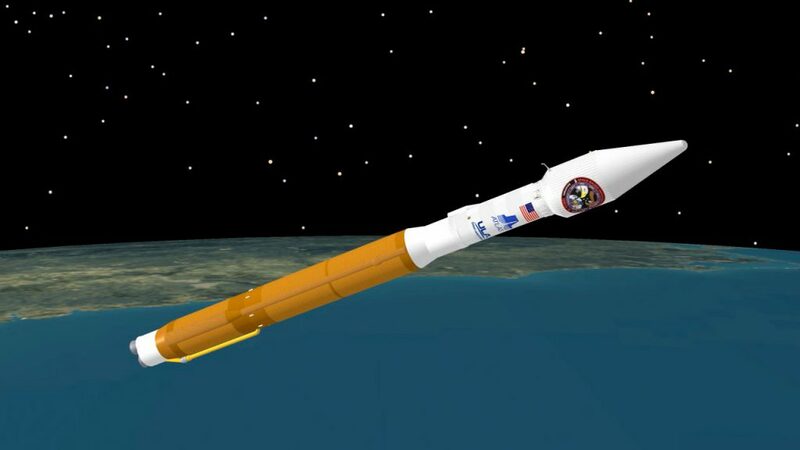 This is the launch timeline to be followed by the Atlas 5 rocket’s ascent into orbit from Cape Canaveral with the SBIRS GEO Flight 3 satellite for U.S. military infrared reconnaissance. 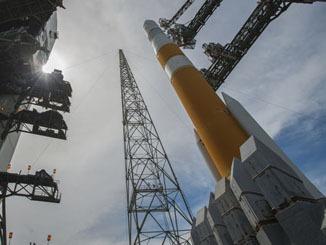 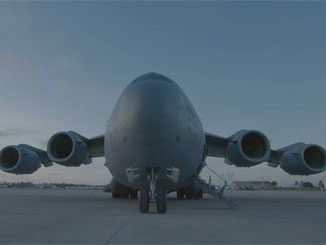 Launch is scheduled for Thursday at 7:46 p.m. EST (0046 GMT). 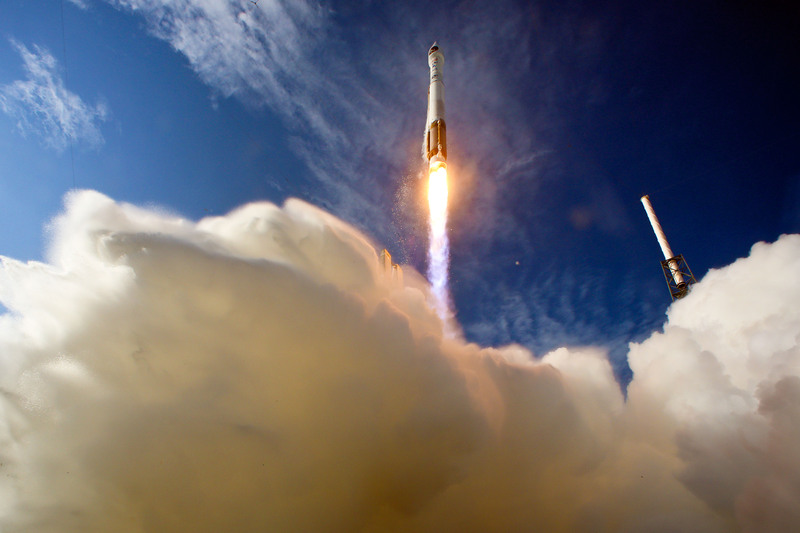 With the RD-180 main engine running, the Atlas 5 vehicle lifts off and begins a vertical rise away from Complex 41 at Cape Canaveral Air Force Station, Florida. The Atlas rocket, after breaking the sound barrier at 81 seconds, passes through the region of maximum dynamic pressure during ascent through the lower atmosphere. 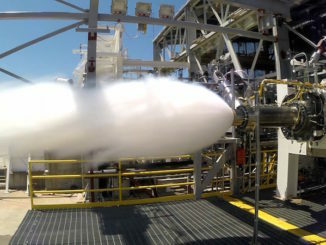 The Centaur RL10C-1 engine ignites for the first of two upper stage firings. 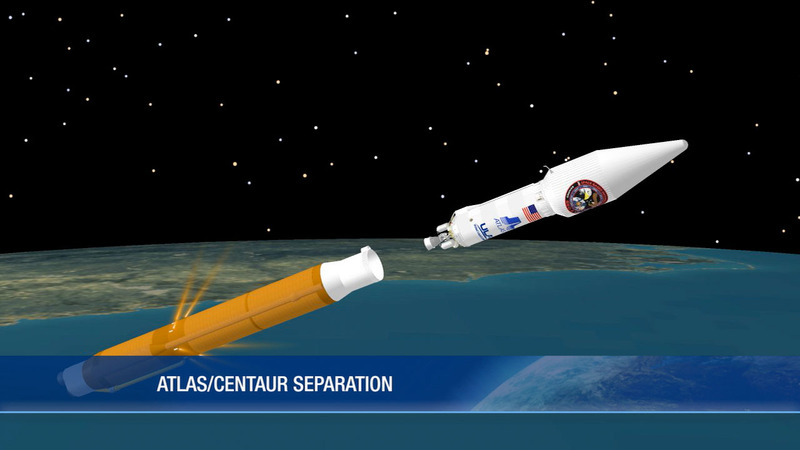 This burn will inject the Centaur stage and SBIRS spacecraft into an initial parking orbit. 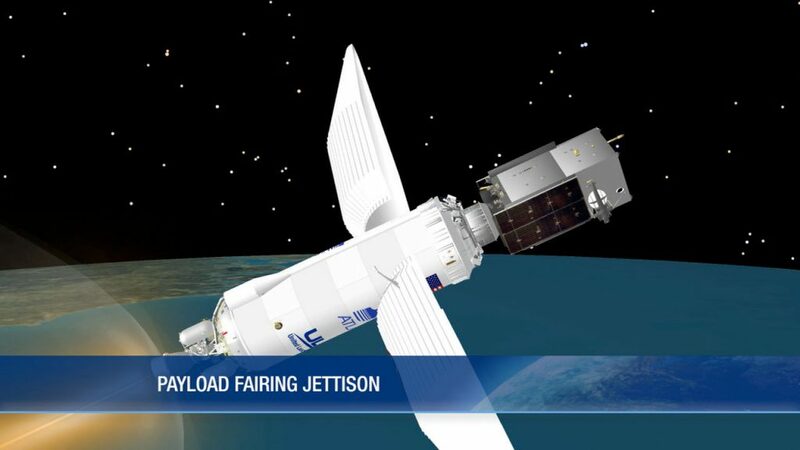 The payload fairing that protected the SBIRS GEO Flight 3 spacecraft during launch is separated after passage through the atmosphere. 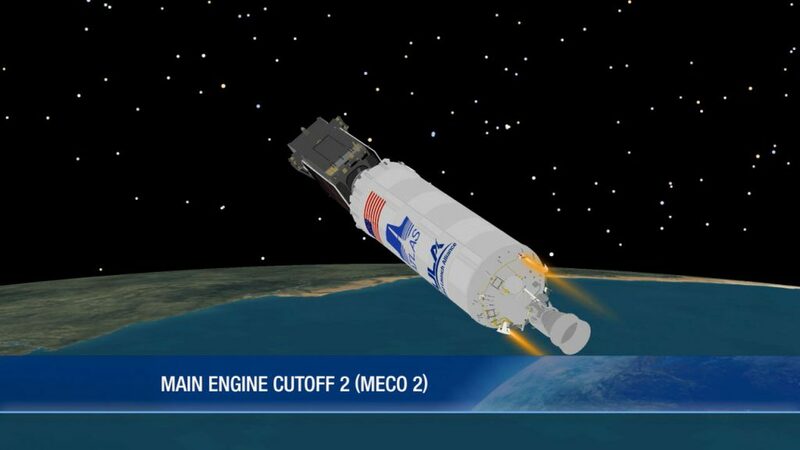 The Centaur engine shuts down after arriving in a planned low-Earth parking orbit. 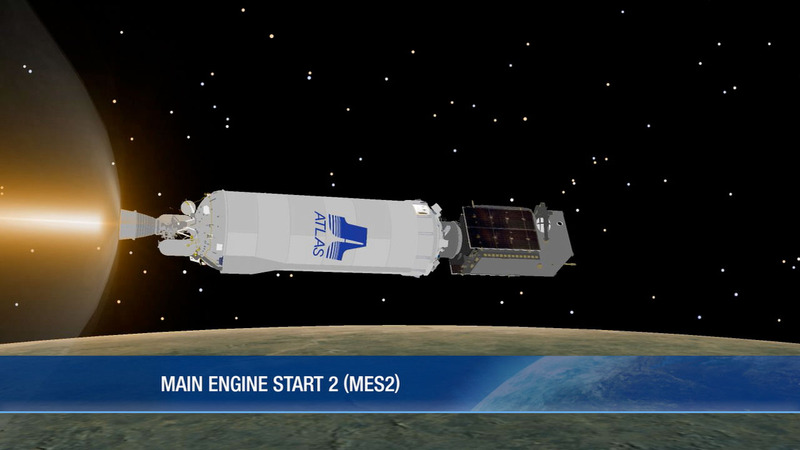 The vehicle enters a 9-minute coast period before arriving at the required location in space for the second burn. 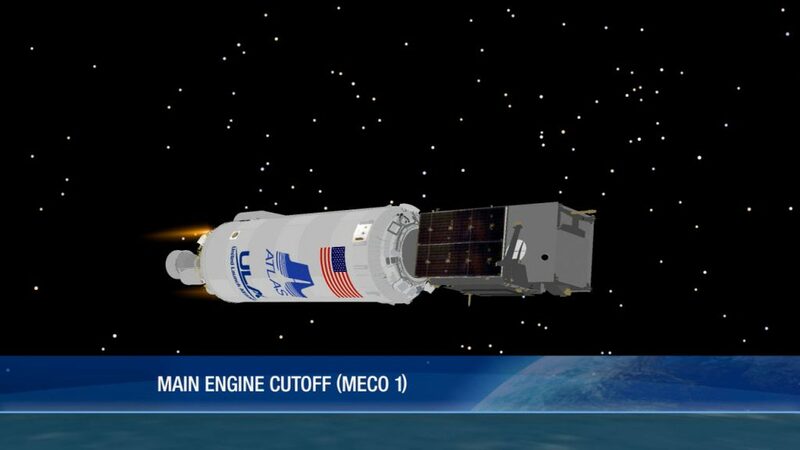 A final push by Centaur is ignited to raise the orbit’s low point and reduce orbital inclination for the SBIRS GEO Flight 3 spacecraft. 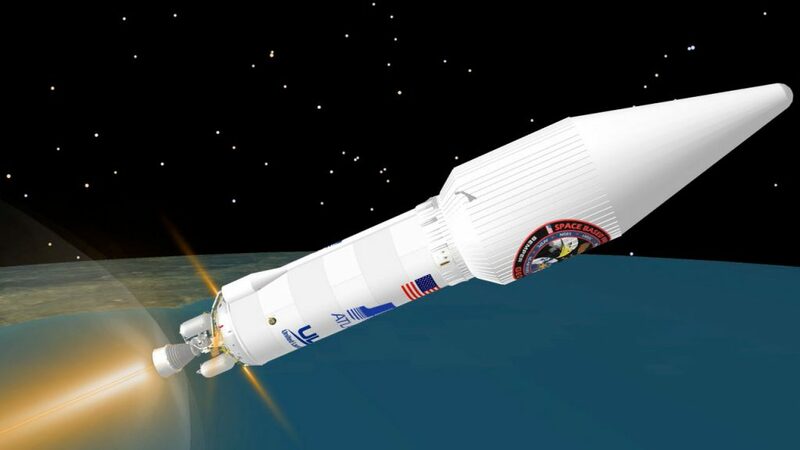 The powered phase of flight is concluded as the Centaur reaches the planned geosynchronous transfer orbit of 115 by 22,237 statute miles and inclined at 23.29 degrees. 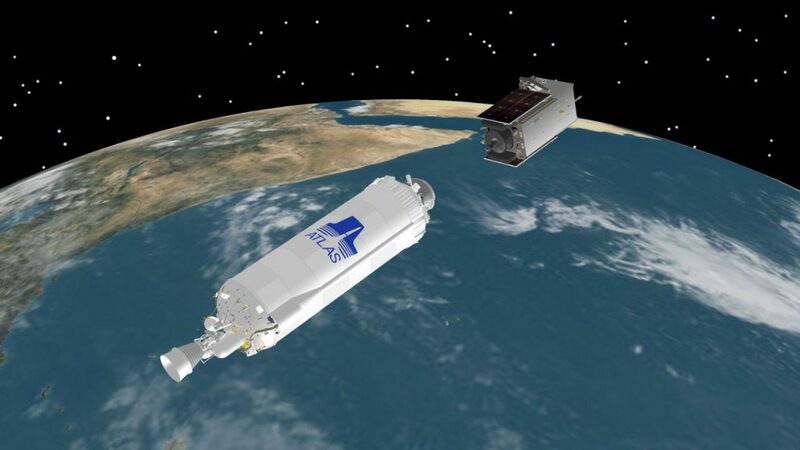 The SBIRS GEO Flight 3 missile warning sentinel is released into orbit from the Centaur upper stage to complete the launch.